If you are struggling with enlarged pores and pimples then the baking soda face mask will definitely help make your pores smaller! The baking soda has properties that help clear out the dirt and oil in your pores and skin exfoliation is the main one. It also corrects the pH balance of your skin, which is commonly overlooked.  1 How Baking Soda helps in Acne treatment? 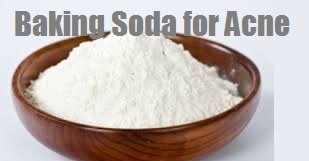 How Baking Soda helps in Acne treatment? The baking soda face mask is an excellent homemade remedy because it is great for minimizing your pores because it has mild antiseptic and anti-inflammatory properties which aid in the prevention of acne. Acne is caused by the build-up of dirt and oil which then gets infected. If you’re like me and struggle with over active pores that secrete oil, then this may help you. Baking soda helps aid in the absorption of oil which helps prevent it from clogging your pores. Make sure you are using baking soda and not baking powder. It is very easy to get the two mixed up! In a plate, take the baking soda and mix it with the water. Mix together the two ingredients until they form a paste. If the mixture is too watery or thin, thicken it up to a paste by adding more baking soda. If the paste is too thick, add some more water in small amounts at a time. You want this the face mask to be a creamy paste that is not too thick and not too thin. Make sure to apply this face mask to a clean face. Using your finger tips gently apply the paste to your face in a circular motion. Massage gently and avoid your eye area. Leave the mask on for 10-15 minutes. You will notice that the mask will have begun to dry. Rinse off using warm water and dab your face clean. Tone and moisturize as usual. You can use this baking soda face mask twice a week. Just remember to moisturize your skin regularly. Your pores will be minimized in no time and your blackheads will begin to fade away, leaving you with spotless, clear skin. No longer will you have to wear layers of makeup to hide your acne just so that you can go out to the store without being stared at (or at least feeling like the whole world is just staring at your acne.) Here’s to smoother, brighter skin! Please note: Keep in mind, that not all skin types react the same way so try this mask on a small section of skin to make sure you are not allergic to any of the ingredients. And, as always, if you have worsening condition, please see your doctor.